pondering, geeking, whining, thinking, being boring... and just talking twak. Maybe the idea isn’t so fresh and original as it strikes me. Maybe it was simply my first encounter with this kind of marketing. There have been other ARGs (alternate reality gaming) used for marketing such as Halo 2’s ilovebees. Maybe it was simply because I was interested in the subject being marketed. But #Solcomms totally blew me out of the water. 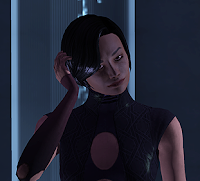 In ME1 while walking through the Citadel, you encounter human reporter Emily Wong whose interest is finding stories that really matter. She has her eye set on a particular piece, but she needs information she can't gather by herself and asks you for help. Fast forward to ME2. It’s two years later and Emily Wong is no longer the young reporter desperately chasing after elusive leads. She’s worked her way up to the Citadel News desk. As you pass several news screens, you see her behind the desk giving you the news that helps fill in the blanks of what happened during Shepard’s… period of recuperation. She’s not a character you speak to during a game, but it’s still kinda nice to know that she made it after you helped her out… if you had bothered to. The guys at Bioware really went all out when they marketed Mass Effect 3. You had the amazing trailers, the interviews, the demos, copies of the game being shot ‘from space’ and floating down with a parachute into the eager hands of a gamer (or in the eager branches of a tree). They even set up a blog acting as Alliance News Network (the Alliance being what the human government is called in Mass Effect) which started posting in-game stories on the Alliance, on alien races such as the Batarians, Asari, Turians, etc., as well as on Cerberus (a human terrorist organisation). Again this was an attempt to whet the gamer’s appetite and to give context as to the circumstances in which ME3 was going to start off in. They also started a Twitter account @AllianceNewsNet ten days before the game’s release giving short headlines and linking to some of the articles posted throughout this time. So far it looked pretty cool that they were using these online platforms to continue marketing the game. You were curious, but it wasn’t exactly mind blowing. The batarian homeworld was the first to go dark due to their communication buoys having stopped working. Hostile relations between humanity and the batarians made the Alliance the first to be blamed. Five days prior to the game’s launch brought news that the batarians were fleeing from what was described as “obviously an Alliance attack”. Two days prior to the launch brought the first mention of #solcomms as suddenly our solar system began having trouble with its own comm buoys. Emily continued giving a blow-by-blow update on what she was seeing. There was confusion as to what was happening, and what the ship was. She also noted the reactions of the people. Emily began sending out warnings as she realised what was happening – that this was actually an attack on earth. The warnings were things such as not to go to crowded areas like hospitals or schools, or avoiding certain roads. She witnesses a variety of creatures that would end up in ME3. Through her tweets the reader picked up on the shock and horror of what she was seeing. But it was there that something amazing started to happen. 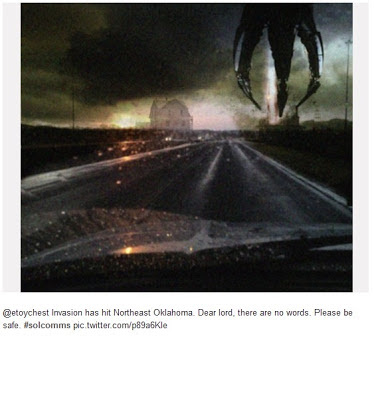 The fans following the events began making their own reports of sightings within major cities along with manipulated pictures of invading reapers and husks (humans transformed into creepy monsters). People replied to Emily urging her to stay safe, sending her reports of places within the city she was in that should also be avoided. 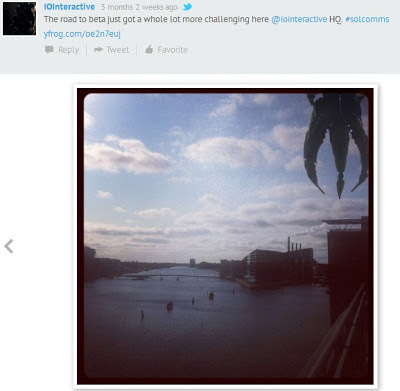 There were also warnings to others who were reading the #solcomms tweets. People started calling out for help, began sharing the horror of what they were witnessing and also started asking questions on who these invaders where (as if they didn’t know already); others sending out message of support and assurance that they were “on their way”. Suddenly family members in other cities were in jeopardy; people began “travelling” together, sharing their experiences. There were also quite a few deaths witnessed or experienced along the way. Hundreds of people jumped in and began roleplaying to be part of the Reaper invasion. And then you had those people on twitter that weren’t aware of ME3 or #solcomms who couldn’t understand what was going on. 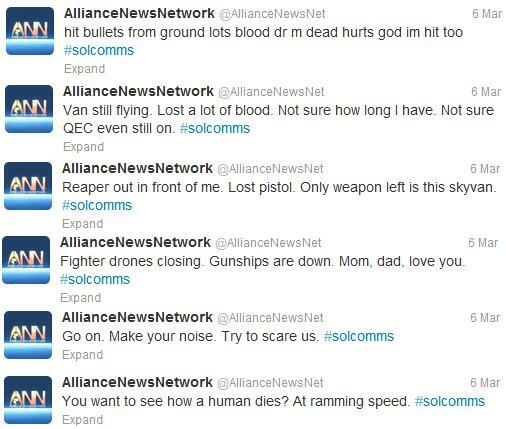 Like the equivalent of ‘War of the worlds’ when it was first aired over radio, people started asking questions, trying to figure out what these crazy people were panicking about and what on earth #solcomms was. Since most of the posts didn’t specifically mention alien invasion, it is easy to understand the confusion and worry those out of the loop were experiencing. And so even more attention was pulled towards what had become a game in itself with fans warning people of attacks as if they were ignorant of what was "really" happening. They started directing them to places, telling them where to hide, speculating why the reapers hadn’t reached those areas yet. 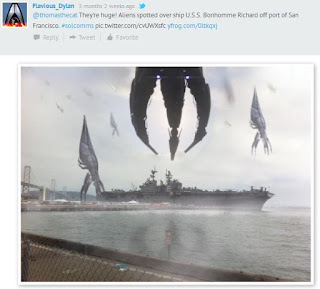 People living in the southern hemisphere couldn’t quite play along as we were only getting the game a couple of days later and so the Reapers hadn’t “arrived” by us yet, but there were manipulated pictures flying about regardless (I saw an awesome one of Cape Town with a reaper overhead – was so impressed and amused). We started writing news headlines of governments speculating what was really happening up north, whether the reports were a hoax, whether steps should be taken to assist or to start mounting a defence. The last act: At ramming speed. You follow Emily’s story throughout. How she travels to various places, how people who are with her die, how they go from one location to another trying to find loved ones and supplies. She manages to get her hands on a weapon, tries to defend herself at some point and is fatally wounded. As you can imagine, this was a massive shock to the fans who knew of her, who had been following her tweets and – whether they liked her or not – were rooting for her to make it to safety. She had become a symbol of humanity against an overwhelming threat. She was supposed to survive, damnit! And in her final tweets, her final act, she was truly painted as a symbol of humanity. She became a symbol of its resistance, its resilience and its determination to continue fighting regardless of how impossible the circumstances were – even to the point of death. #solcomms didn’t end with her, however. While Bioware’s marketing was now at an end – it was the launch date after all and there for everyone was expected to go grab the game and forget about what had happened on at Twitter. But still the fans tweeted on. They mourned Emily’s loss, swore at the reapers, and kept roleplaying for several days further before the roleplaying finally petered out. In my opinion, #solcomms was truly a stroke of brilliance. I can’t say that I was as deep in the trenches fighting husks and cannibals, worrying about food and supplies, asking for help or saving others. My story was rather boring, but boy! did I have fun! It might have been something silly, but it was something I could step into and be part of. The creativity of some participants was outstanding, whether it was by the images they created or the stories they told. It was such a pleasure to be part of it all. And that is truly part of what made this particular marketing mission a massive success. (end spoiler) – an honourable ending. 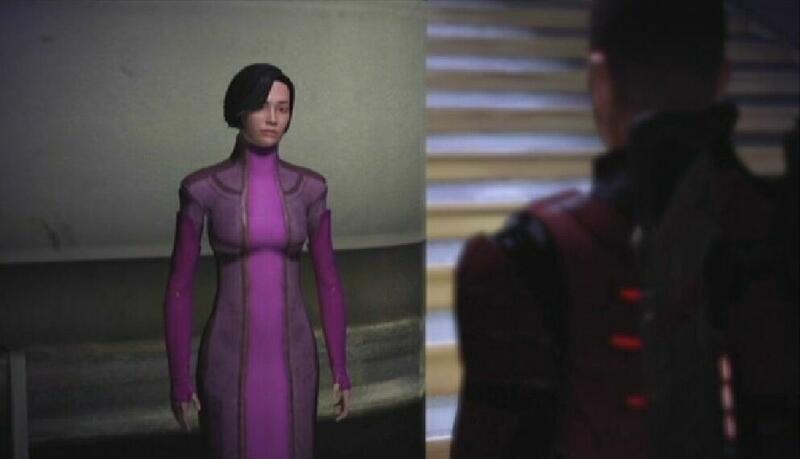 The one thing that they didn’t do which I thought would’ve been nice, was to include references to her story in ME3. Now obviously the marketing must have been thought up after the game was created, but it would have still been awesome to see the thread that had been pulled from the previous games to Twitter then be tied off in ME3. That would have really made it for me. 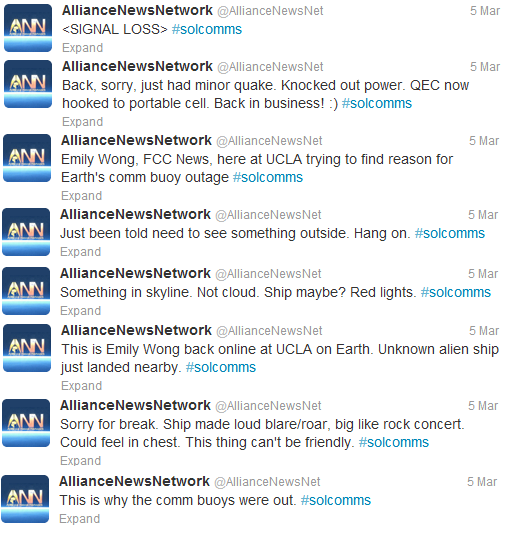 It's a shame that most #solcomms tweets have been purged, but one can still find multiple tributes the Emily Wong. My particular favourite is this one by David Thomas (@davidnrogers) who is also doing a series of fanfiction news reports post-ME3. I heartily recommend reading it. :D Ah yes, Solcomss. So many fond memories, lol. I loved that, I loved following Emily's story. I didn't want to go to bed in fear of missing something. And then, then I had to and I woke up just in time to read her die. I remember standing in my room completely shocked. No, I thought. I was rooting for you to live! How can you just die?! I was so excited about the game. Solcomms was really very good. I might go so far as to say it had as much emotional impact on me as any but the best parts of the game. I mean that not as a dig on the game but more as an observation about play: it's like little kids playing with the box their toy came in, not the expensive shiny toy. My favorite solcomms memory is somebody describing a biotic going through a blood sugar crash and desperately asking what was wrong with her and how he could help - a scenario that involves pretty extensive codex knowledge about how biotics work, but doesn't show it off, instead setting up the rest of us to look smart. I took his lead on the (reasonable) assumption that your average Earther doesn't know much about biotics and created a reason I knew the answer, a biotic best friend. So cool. Well, actually that's my second favorite memory. My favorite would have to be "At ramming speed." I mean, come on. Geek with too many interests and too little expertise. I am, however, an expert in babbling. I love learning new things and I love sharing them. Have tried to put a lid on me but it just keeps getting knocked off mysteriously... go figure.